We live in an age where access to knowledge on virtually any topic is at our fingertips. Yet, we are bombarded by misinformation on a daily basis. Modern advancements in scientific research are often sensationalized or disputed, with findings rarely reported to the public with the appropriate contexts and caveats. The term “GMO food” usually refers to an organism that has been modified in a laboratory setting or has had a direct transfer of genes into its DNA. Unfortunately, these foods are misunderstood. Due to the complexity of genetic research and the speed at which advancements are being made, there is an alarming lack of accessible, comprehensible resources by which to evaluate this topic from a public perspective. As a result, the general public is directed toward sources masquerading as reliable outlets of scientific research. Media outlets, blog posts or opinion articles are written by seemingly trustworthy individuals often present the results of scientific literature in a way that is easily understood by those without formal education in the sciences but are usually riddled with errors or misinterpretations of scientific findings. The process of genetically modifying an organism isn’t scary if you understand the science, but that doesn’t mean you should become complacent. 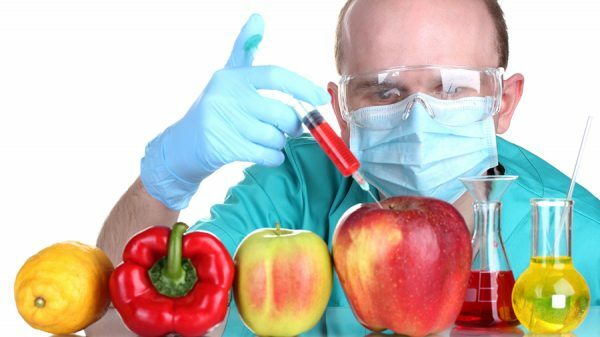 You should be worried about GMOs, but for reasons, you may not have considered. The copyright policies and corporate monopolies surrounding GMO production are worth worrying about. Corporations such as Monsanto have been repeatedly accused of biased research and fraudulent claims surrounding their products. For example, Monsanto has recently been accused of secretly influencing studies conducted by Health Canada — studies that were instrumental in the Government of Canada’s decision to approve the sale of Monsanto’s “safe” weed-killer, Roundup. Recent evidence shows that traces of the active ingredient in Roundup, glyphosate, are found in many food products. If Monsanto secretly guided studies claiming the safety of glyphosate, there is a justifiable cause for concern and an immediate need to re-evaluate these studies. Previous Previous post: What Is The Best Remedy For Sinus Drainage?